This guide will show you how to access the new content, Ashes of Ariandel, in Dark Souls 3. From Software has blessed Dark Souls players yet again with the release of Ashes of Ariandel, the first piece of DLC for Dark Souls 3. However, it can sometimes be challenging to begin the new DLC or even find it for that matter (looking at you, Abyss of Artorias), so we’ve got it all laid out for you below, minus the spoilers! Before you start the Ashes of Ariandel DLC, it is important to note that this is an end-game area, and as such, should be met with a reasonably upgraded character. Take some time to prepare yourself for the challenge to come. It is advised to enter the Ashes of Ariandel no lower than Soul Level 70, though newer players are likely to want an even higher level character. All those SL1 players out there, I salute you. May Umbasa bless your journey. 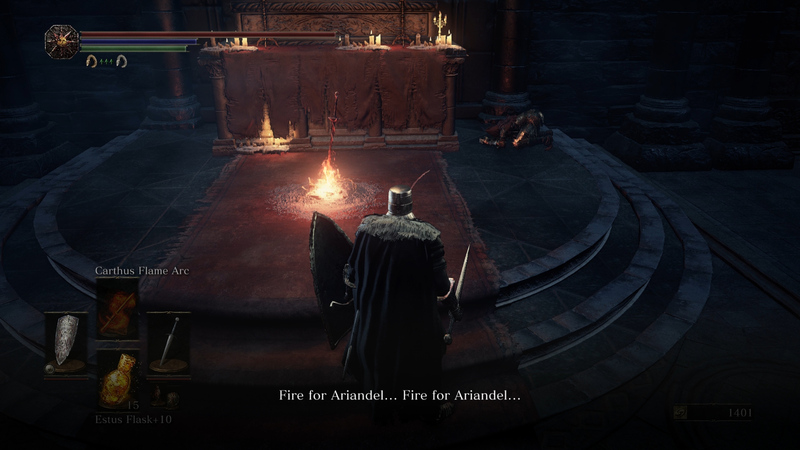 To gain access to Ashes of Ariandel (obviously after you’ve purchased it), you will need to travel to the Cleansing Chapel bonfire, which is in the Cathedral of the Deep. You can either fast travel using the Bonfires, or progress through the game as standard. The Cleansing Chapel is located after the Road of Sacrifices. As you reach the Cleansing Chapel, look for the new NPC located to the right of the altar, which will be behind you as you spawn in. You will need to talk with the NPC twice and then accept his mission. 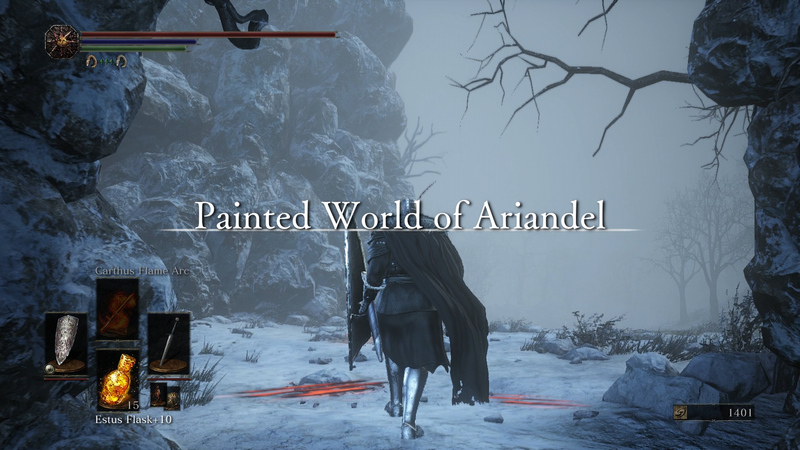 Once you accept the NPC’s mission, you will be immediately transported to the new DLC area, The Painted World of Ariandel. After the cutscene you will have gained access to the new area in Ashes of Ariandel. Before you continue forward, be sure to look behind you and talk to the NPC on the ground. Beside the NPC is also a corpse with two Rime-blue Moss Clumps, important in reducing Frost buildup by curing the Frostbite status. Be sure to check back here regularly for all the Dark Souls 3 information and guides you need! But for now, that’s everything you need to know about how to start the Ashes of Ariandel DLC for Dark Souls 3.